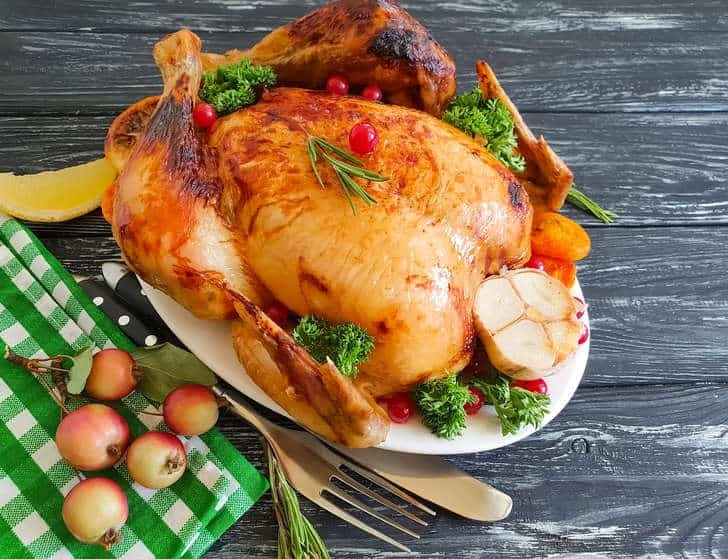 Perfectly moist turkey, juicy beef, golden crispy chicken, fall off the bone, tender lamb or succulent pork, nothing is better than a perfectly cooked roast for a large family dinner! We all want to make the perfect roast to impress our friends and family but how much do we know about making it? Read below for our selection of the very best tips for the perfect roast! 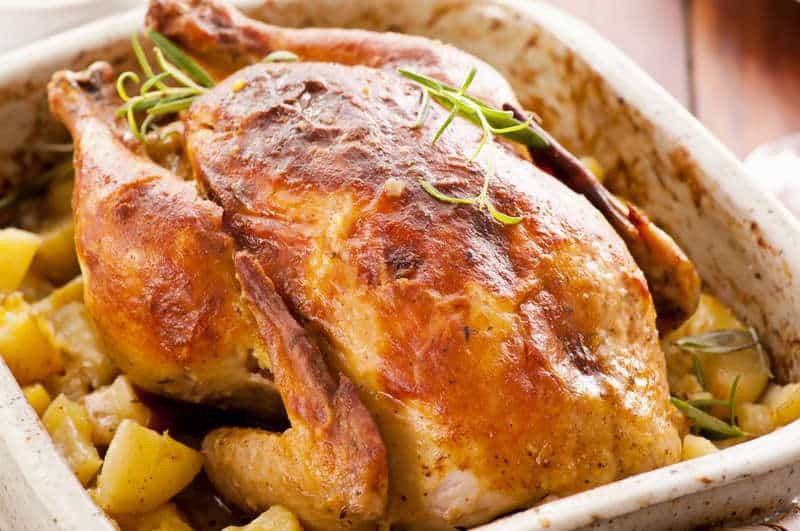 Poultry (Turkey/Chicken): Start with the best bird; free-range or organic. Watch out for the labels. The best choice, for the best-tasting roast bird with no unnatural additives, is to go for the ‘USDA Organic Certified’. Next best thing ‘No Antibiotics Used’, ‘Certified Humane’ and ‘Pastured Poultry’. Lamb: Feed a crowd with a leg of lamb; a generous cut with lots of lean, tender meat to tuck into. 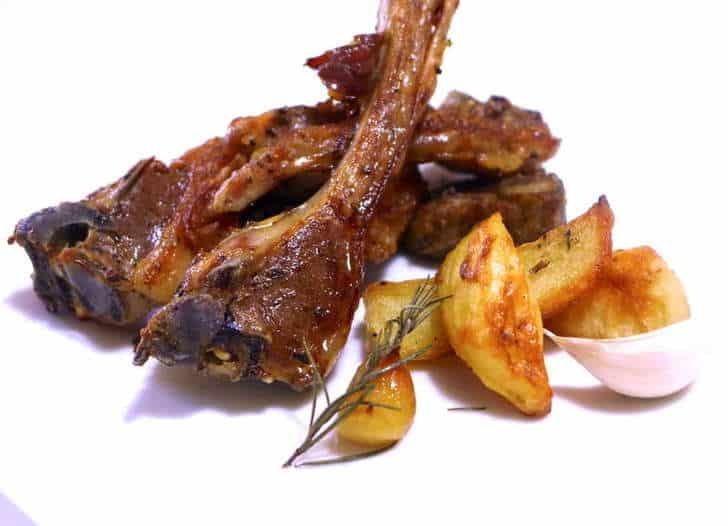 The shoulder of lamb, is more economical, as it contains more fat, making a flavorful succulent meat, suited for slow roasting. The rack of lamb (chops) is the best part! Impressive and crispy.. Save it for special occasions! Beef: With so much variety what is the best cut for a nice beef roast? Each cut requires a different cooking method; a brisket requires moist, slow cooking so make sure its tightly wrapped in foil or cooked in a covered roasting tin to break down the connective tissues and give that nice tender texture. On the other hand, you can never go wrong with a nice large chunk of rump, but your wallet might suffer as its one of the most expensive types of meat. My personal favorite is a rump as it has far less connective tissue and is easier to cook for the novice. Turkey: To ensure your festive turkey is thoroughly cooked you must fully defrost it and let it sit at room temperature for about an hour. That-way the meat will be the same temperature throughout and cooked evenly. Preparation is quite simple. Start by tucking its wing tips underneath the body. Season on the inside with plenty of pepper and some salt – careful not to make it too salty though… Stuff the turkey with your stuffing of choice, fold the neck skin over the opening and tie the legs together with a kitchen twine. To roast you turkey to perfection, place in a heavy bottom roasting tin and roast without a lid until it is golden brown. It will take about 45 minutes to 1 hour. Once golden brown, reduce heat to 375F (190C), add 1 cup of water to the pan, brush with your seasoning and cover with a lid or foil. Repeat every 30 minutes. If the pan becomes dry remember to add some more water. The best way to know when your festive turkey is done is by using a meat thermometer in the thickest part of the thigh. If it reads 165F (73C) it’s ready! Looking for a great Turkey recipe? Click here for more. Chicken: Its probably the easiest to get right. Tie the legs together and roast with the breast down first for one hour so all the meat juices run to the usually dry breast. Turn for the final 30 minutes to allow for a nice crisp skin. One of my favorite cooking tips is to heat up some oil in a pan and sear the chicken prior to roasting. That will allow a crisp crust to form and you can set the oven to a lower temperature to allow for a thoroughly cooked but very moist flesh. Don’t forget, water evaporates at 100C and the higher the temperature, the more water, hence moisture is lost! If you are feeling adventurous and have plenty of time, cook the meat at 90C for 4-5 hours to allow for a super-succulent yet thoroughly cooked bird. And don’t forget to baste with the juices every half an hour or so to make sure it stays nice and moist! (Cooking tip from Heston Blumenthal). Lamb: Lamb is all about flavour. 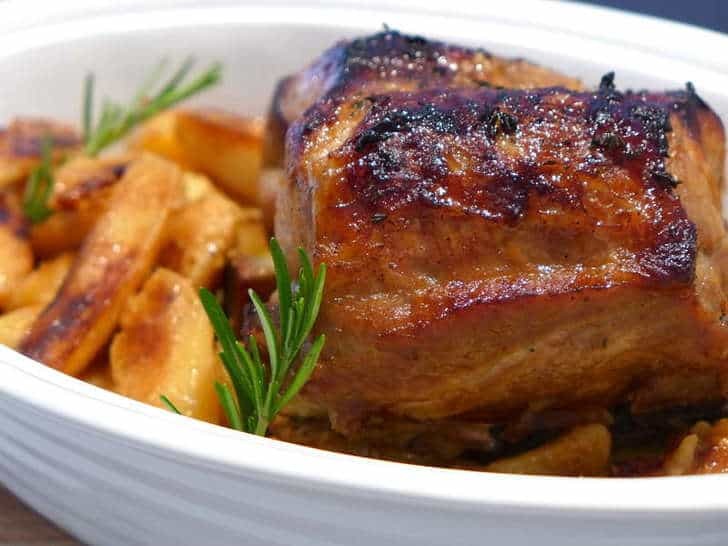 Make sure you sprinkle generously with your favorite spices prior to cooking to give that nice flavour and scent that characterises a superb roast lamb diner. Our favorites are rosemary, garlic, freshly ground pepper and some mustard which transform the strong lamb flavors to an exquisite delicacy. To make sure the flavours fully infuse the meat, make some small holes using a sharp knife and stuff the garlic covered in salt and rosemary in them. The melting garlic will be soaked up in the meat and fully flavour this amazing roast! Use about 10-12 cloves for a large leg of lamb. To make sure the lamb stays moist, peel a couple of onions (do not chop them!) cut them in quarters and layer them on the bottom of the baking tray and then place the lamb on top. This onion layer will add a bit of moisture and prevent the lamb from sticking to the pan. You can also use those as garnish when serving as they will be infused with the amazing lamb flavours pouring out of your cut while roasting! Finally to keep the lamb moist, add one glass of white wine to the roasting tin. This will keep your meat tender for that amazing fall-off-the-bone experience! Bake at 180C. Let it rest for at least 15 minutes. Remember, the cooking process continues even if the meat is not in the oven! Beef: The key to a perfect beef roast is time. A large chunk of beef needs at least 1 hour 30 minutes to cook (medium) as the heat needs to permeate the meat and cook it from the inside. Remember, your beef must be in ROOM temperature before roasting. A cold meat will be seared on the outside and not cooked at all on the inside, so you will end up spending more time roasting and end up with a dry roast. I cannot stress this enough – make sure the meat is at room temperature! Heat up some canola oil (rapeseed oil) or sesame seed oil in a pan just before it smokes and sear the meat from all sides. This will let it form a nice crispy, tasty crust while roasting. Roughly chop up your favorite vegetables and layer a large baking tray. My favorites are carrots, onions, celery and some twigs of fresh rosemary. Place the meat on top and drizzle with plenty of olive oil, salt and pepper. Remember to cover your roasting tin and baste the meat every 20 minutes or so to make sure it stays succulent. As always, let it rest for about 15 minutes.